ONE OWNER LOCAL TRADE. THIS VEHICLE WAS BOUGHT NEW HERE AND SERVICED HERE. xxxx EXPLORER XLT FWD 3.5L V6 ENGINE. 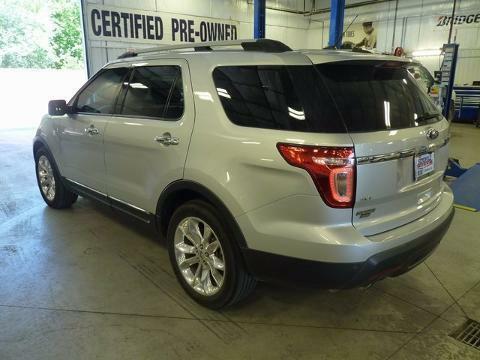 NAVIGATION, MY FORD TOUCH, LEATHER SEATS, HEATED SEATS, FACTORY ALUMINUM 20' WHEELS, GOOD TIRES, POWER WINDOWS, POWER LOCKS, SYNC. THIS IS A NICELY EQUIPPED EXPLORER. CALL OR STOP BY FOR A TEST DRIVE!!! ---- IF WE DON'T SERVE YOU, WE DON'T DESERVE YOU! Seminole Ford proudly serving the following communities Seminole, Shawnee, Prague, Tecumseh, Wewoka, Holdenville, Wetumka, Ada, Norman, Stroud, Okemah & Meeker.